The Nigerian Bar Association (NBA) has faulted the preparations of the Independent National Electoral Commission (INEC) in the area of logistics for the February 23, 2019 presidential and National Assembly elections, accusing the commission’s officials of aiding and abetting politicians to rig the elections. This is coming as the Chairman of the electoral body, Prof. Mahmood Yakubu has promised that the electoral umpire will probe some already identified calculation errors in the results of last Saturday’s presidential and National Assembly elections. But despite the assurance by Yakubu, the Coalition of United Political Parties (CUPP) has rejected the results of the elections being collated by the commission, accusing the INEC boss, of complicity in the election malpractices. In the interim report on the elections signed by the Chairman, Elections Working Group (EWG), Afam Osigwe, NBA not only indicted INEC over the challenges faced by the populace, it said many of its staffs were partisan in the election. Osigwe however, said the NBA–EWG would give its full report after the governorship and House of Assembly elections slated for March 8. 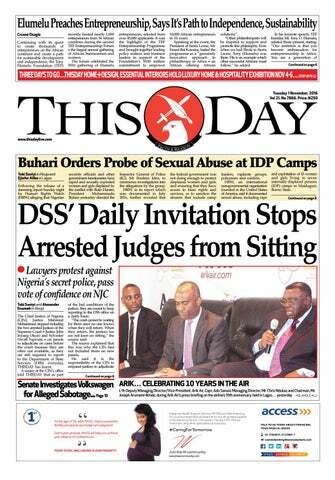 The President of NBA, Mr. Paul Usoro (SAN) had inaugurated the 2019 NBA-EWG with the core mandate to, among others, observe the presidential, gubernatorial, national and state Houses of Assembly elections, 2019 and ascertain and be able to comment on the extent of the conformity of the processes and procedures for conduct of the elections with the relevant laws. 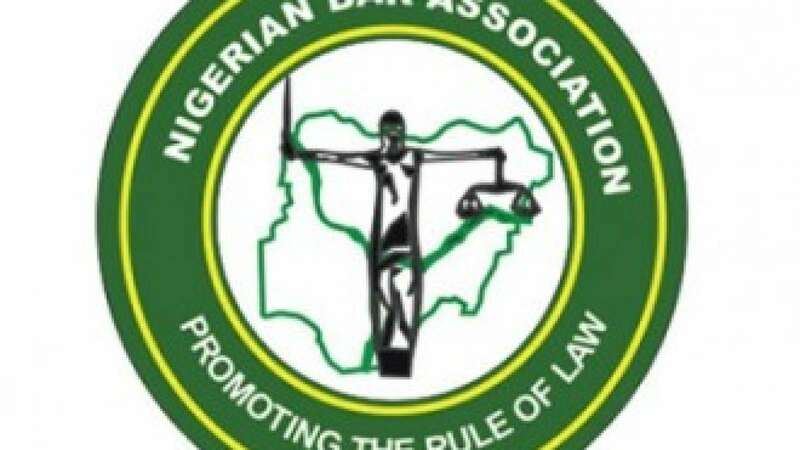 The NBA-EWG noted with regret, however, that despite the postponement, the elections recorded some noticeable but avoidable lapses associated with the same ‘logistical challenges’. It stated that its members reported that polls did not commence at the scheduled time of 8 a.m. in most polling units nationwide. This, according to it, was a drawback, which manifested in the states of the South-south, South-east, South-west and North-central regions of the country. The observer body disclosed that in a number of polling units across the country, election materials, especially ballot papers, were either over-supplied or under-supplied. It added that from the reports available to it, the situation was prevalent in the South-south and South-east sub-regions, particularly in Edo, Akwa Ibom, Imo and Enugu States. “The NBA-EWG notes as well that in isolated cases, Owerri in Imo State for example, INEC officials conducted the elections using photocopies of approved ballot papers. In polling units where voters complained about this unwholesome practice, the INEC officials rebuffed them and proceeded to conduct the elections in that manner, nevertheless. We also observed that many electoral officers could not locate the Polling Units where they were to conduct elections. “In one example at Dutse Alhaji, Abuja FCT, polling officers who could not locate their polling units returned to a wrong polling unit with the electoral materials. In another example in Abuja the polling officers actually commenced the conduct of elections in a different and wrong polling unit. “Many voters also had difficulties locating their polling units as there were insufficient details on the PVCs and at INEC website on how to locate one’s polling unit. “This was very prevalent in Abuja. The splitting of the Polling Units into sub-units based on alphabetical order without informing the voters or putting in place some order in executing same, initially caused disenchantment as voters had lined up randomly or in a single straight line in accordance with their time of arrival not knowing that such polling units had been subdivided. On the Smart Card Readers, the group said the major complaints of the voters, as aggregated by members, revolve around the card readers. “The 2019 NBA –EWG reports that the performance of the card readers, although not generally unsatisfactory, raised concerns and provided sufficient basis for anxiety among the voting populace. On electoral violence, the NBA said there were several reports and live feeds of electoral violence from all over the country where party thugs and hoodlums had a field day invading voting centres to harass, molest and intimidate voters and, in some instances, INEC officials. “Strangely, in places where these despicable acts were recorded or registered, security agents were either complacent or complicit. 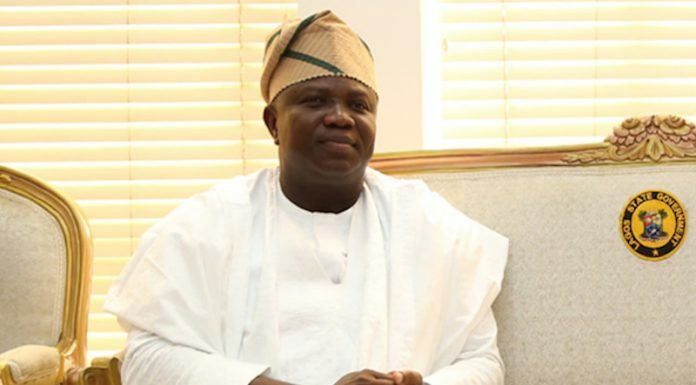 Rivers, Lagos and Kogi States were notorious in this regard. There were also confirmed reports from different parts of Nigeria where voters were prevented, hindered or inhibited from performing their civic responsibilities on the suspicion that their votes had the potential to produce outcomes that were undesirable to or unintended by the illegal “enforcers” and “gatekeepers”. Thus, voters were chased away and forced to return to their homes. Meanwhile, Yakubu has promised that the electoral umpire will probe some already identified calculation errors in the results of last Saturday’s presidential and National Assembly elections. His promise followed the alarm raised yesterday by the National Chairman of the opposition Peoples Democratic Party (PDP), Mr. Uche Secondus over alleged inconsistencies in the results of Nasarawa State. Yakubu who was responding to a question by a member of the Progressive People’s Alliance (PPA), noted that the commission needed to look into some conflicting figures in the result. The PPA member was particularly bothered that since accreditation and voting came simultaneously, the fact that over 14, 000 votes were not categorised as invalid votes and are not allotted to any candidate needed to be queried. Responding to the issues raised, Mahmood stated that: “We will look at it. We will come back to it before we conclude the process,” stressing that the issue had been raised previously. However, CUPP has rejected the results of last Saturday’s presidential elections currently being collated by INEC. In a statement by its National spokesperson, Ikenga Ugochinyere, CUPP stated that Nigerians are no longer in doubt that the 2019 general election was “a complete departure from the electoral gains made in 2015. 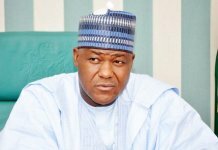 The coalition described Yakubu as the worst to preside over the electoral umpire since 1999 for his alleged unbridled avarice and pursuit of petty religious, ethnic and primordial sentiments. 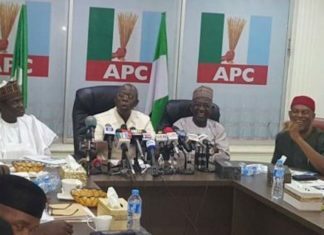 The opposition parties lamented that in the glare of the whole world, the government killed its own citizens, cancelled results particularly in areas of strength of the opposition, inflated scores recorded particularly in areas of strength of the President, burnt INEC offices in areas where it was not sure of victory, raided opposition leaders’ homes and officers, compromised INEC and security officials. 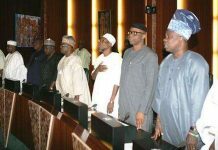 CUPP called on the international bodies to place visa ban on the INEC chairman and all members of his immediate family, the heads of Nigeria’s security agencies, All Progressives Congress (APC) leadership, compromised INEC Resident Electoral Commissioners (RECs) and other top government functionaries it described as having actively participated in robbing the country of its legitimate choice of democratic leadership.